This whole tract appears as smooth and unbroken as the surface of the sea in a calm, though as you pass over it, you meet with slight undulations, and the views of the traveler over the whole expanse is unobstructed, by tree, or shrub, or any other vegetable production. Within the memory of persons still living, there was scarcely an enclosure in this whole compass…. Imagine a prairie in the middle of Long Island! A sea of grass where the sod was so thick early farmers could not cut it, and where they turned their cattle out to graze on its fine grasses and raced their horses across its unbroken expanse. Hempstead Plains was once the only extensive prairie east of the Alleghenies. 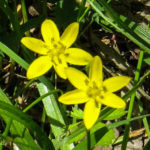 It’s estimated the prairie covered around 40,000 acres, perhaps more; today, only a fraction remain — three parcels totaling 62 acres saved from development and restored by the Friends of Hempstead Plains and the Nature Conservancy. The original prairie of Long Island had established itself on glacial outwash after the last glacier receded, and was a climax ecosystem—one that had evolved over the millennia to reach its grassland state, which if left undisturbed would have remained a prairie forever. 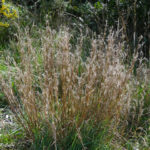 It may once have been part of a continuous band of sand-prairie grassland that extended from New Jersey to Massachusetts. 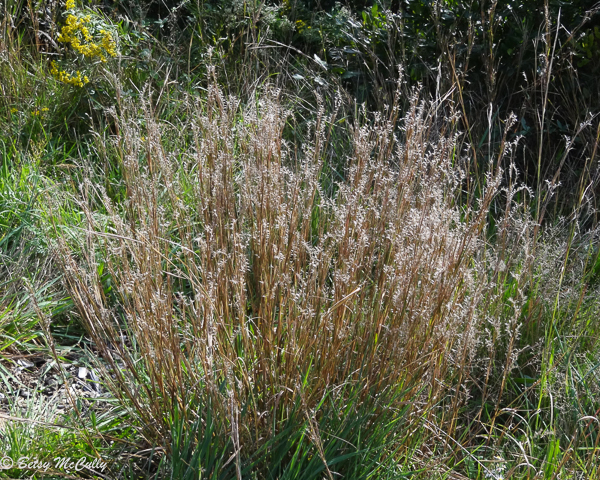 Like the Midwestern prairies, it was a tallgrass prairie, dominated by big bluestem (Andropogon gerardii), little bluestem (Schizachyrium scoparium), Indian or nut grass (Sorghastrum nutans), and switchgrass (Panicum virgatum). Growing among these prairie grasses were Wild Indigo (Baptisia tinctoria), Canada Cinquefoil (Potentilla Canadensis), Gray Goldenrod (Solidago nemoralis), Early Goldenrod (Solidago juncea), Butterfly-weed (Asclepias tuberosa), Stargrass (Hypoxis hirsuta), Fringed Violet (Viola sagittata), Bird’s-foot Violet (V. pedata), Stiff-leafed Aster (Ionactis linariifolia), Hyssop-leaved Boneset (Eupatorium hyssopifolium), and Northern Dewberry (Rubus flagellaris). 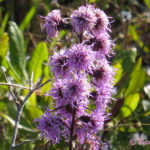 These native plants are still present today in what remains of the prairie despite its degraded and fragmentary state. Garden City development, 1895. Lithographer: Robert A. Welcke. 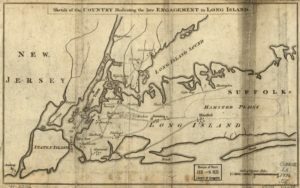 From the New York Public Library Digital Collections. 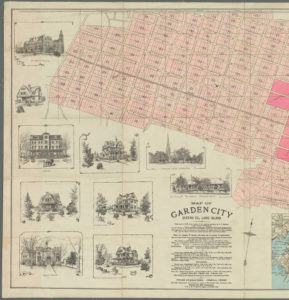 Suburbanization encroached on the Plains as early as 1869, when department store magnate Alexander T. Stewart purchased a 7,500-acre tract to develop the first planned suburb in New York City, which he called Garden City. It was intended as a working-class suburb for renters, most of whom were his own employees, but the project failed for lack of takers. (Garden City continued to be developed as a suburb for homeowners.) Small developments slowly parceled out the Plains, consuming twenty percent by the early 1900s, although thousands of acres still remained untouched. It was not until the postwar baby boom following World War II that suburban developments spread like wildfire across the former prairie, eventually reducing it to one percent of its original expanse. In 1946, William Levitt bought and subdivided the old estate of Alexander Stewart, called Island Trees; this development would later be called Levittown, which became the model for the cheaply built tract-style suburbs that would cover the middle of Long Island. Unlike Stewart’s Garden City, Levitt’s working-class suburb was spectacularly successful, providing affordable housing to working-class owners, many of whom worked in the aviation industries that once flourished on Long Island. By 1960, 17,000 houses had been completed. 17,000 houses in this development alone meant 17,000 lawns, which introduced alien grasses and other invasive flora that out-competed native species. Suburbanization brought shopping malls in their wake: Roosevelt Field, once the largest civilian airfield in America, became one of the oldest shopping malls in America, smothering 360 acres of former grassland with concrete. It represents one of the most rapidly vanishing habitats in the world, along with scores of birds, butterflies, and other animals that are vanishing with it. 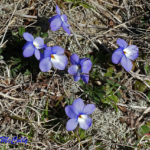 Not only are coastal grassland habitats like the Hempstead Prairie increasingly rare, but several grassland plants are rare and endangered as well. 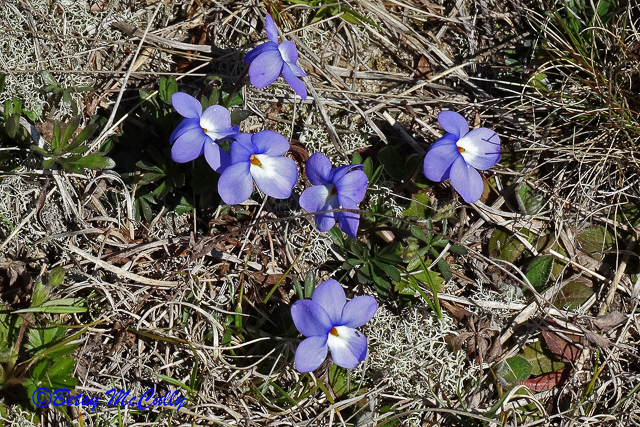 One example is the lovely Bird’s foot Violet (Viola pedata), which once stained the grasslands purple every spring. 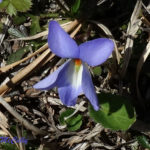 In the Sayville Grassland on Long Island, a parcel of 127 acres managed by the U.S Fish and Wildlife Service and not open to the public, at least 10 species of rare and/or endangered native plants flower. 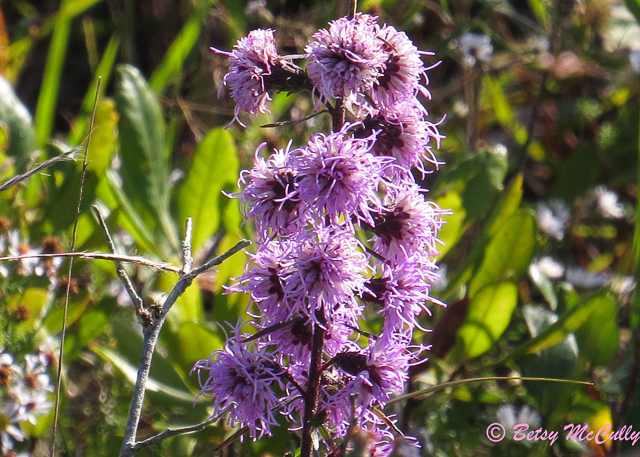 These include New England Blazing-Star (Liatris scariosa) and Sandplain Gerardia (Agalinis decemloba) (originally Agalinis acuta). Liatris scariosa, also known as Liatris borealis, is a threatened wildlfower but can be grown from seed in native plant gardens. Sandplain Gerardia, in contrast, cannot be cultivated. It depends on an intact coastal plains grassland, which has vastly been reduced in range. 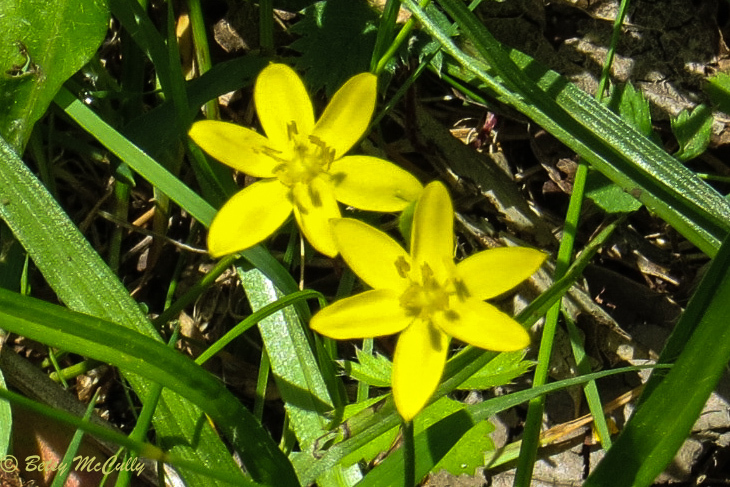 This delicate flower is a true grassland plant, depending on the presence of Little Bluestem, whose roots are thought to provide nutrients and moisture in a hemi-parasitic relationship. 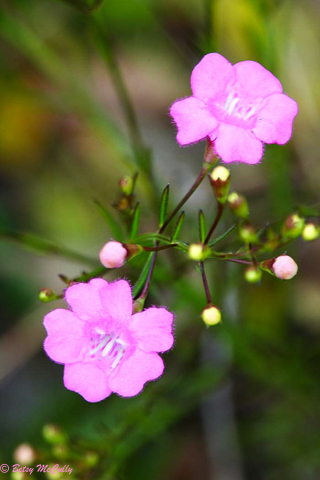 In 1988, Sandplain Gerardia was placed on the federal list of endangered species. 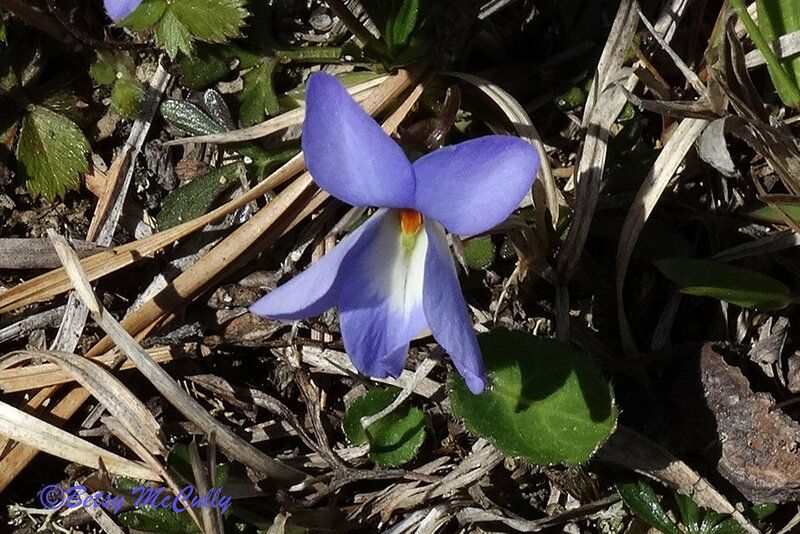 Marilyn Jordan of the Nature Conservancy was instrumental in the effort to conserve this little flower, beginning in 1992. In a report she wrote for the US Fish and Wildlife Service in 2003, she stated that once vast coastal grasslands of the Northeast (estimated to have been 60,000 acres) had been reduced to a mere 200 acres. 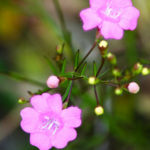 Without intact coastal grassland, the Sandplain Gerardia cannot survive. 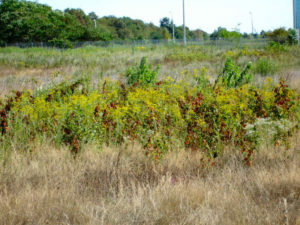 Long Island has the most viable remnant populations, with the largest number at the Sayville Grassland. 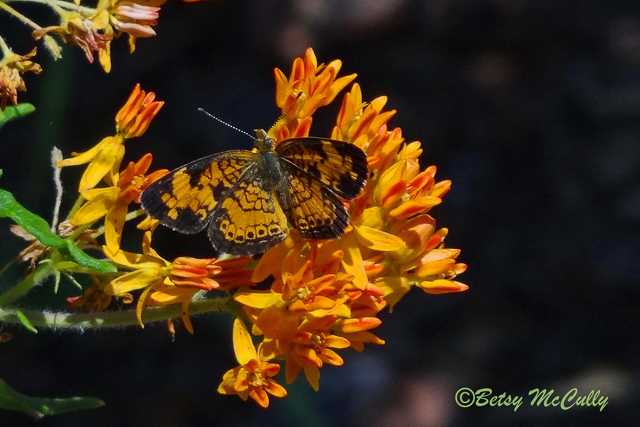 With protection, the wildflower rebounded from a mere 500 in 1990 to 80,000 in 2003, when she wrote her report. 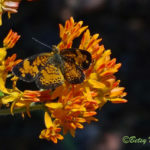 She emphasized that preserving grassland habitat through periodic mowing and prescribed burns had been critical to the flower’s success. However, since she wrote her report in 2003, the population crashed again in 2005, down to about 10,500. Because its seeds remain viable for only four years, a prolonged drought can devastate a whole colony, which has occurred several times since 2003. A drought in 2012, for instance, devastated the wildflower. It continues to be listed as Endangered. 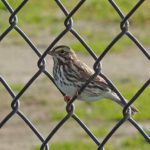 Savannah Sparrow. Grasslands. Edge of breeding range. 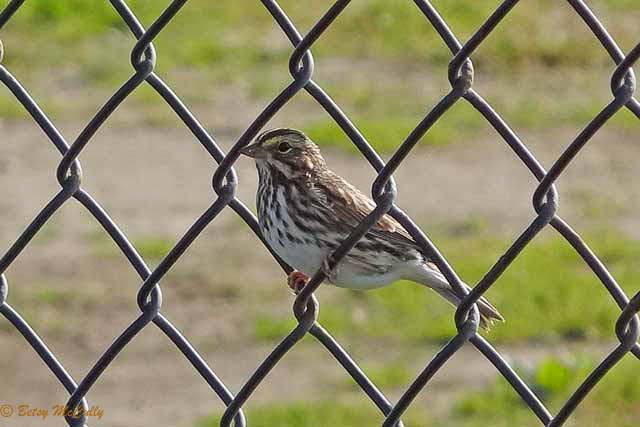 Now breeding in restored grassland of Floyd Bennett Field in Brooklyn. Diverse species of birds also depend on grasslands to nest. 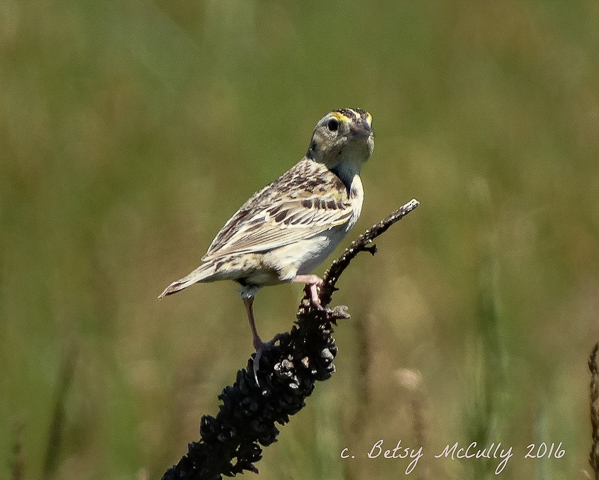 These include Savannah and Grasshopper sparrows, bobolinks, meadowlarks, and upland sandpipers. They will disappear from a region if their breeding habitat disappears, but may return if that habitat is restored — or so it is hoped. Calverton Grassland, 800 acres located on an abandoned airfield on Long Island, is another example of a recovering grassland — but it, too, is vulnerable to encroaching development. At least a core may be preserved because it lies within the Pine Barrens atop the Magothy Aquifer, the main source of Long Island’s fresh water. It was here that I encountered breeding Grasshopper Sparrows, a once common grassland bird that has been in steep decline. It’s speculated that disturbance in grasslands throughout the Northeast and Midwest because of more intensive farming methods, not to mention suburbanization, is hastening the decline of grassland birds. The Massachusetts Audubon Society posts on its website a detailed set of recommendations for farmers to follow who wish to preserve grasslands on their property. While recognizing the economic incentive of hay mowing, as well as the necessity of mowing to maintain grassland, the Society urges farmers to leave undisturbed a minimum of 10 acres or, ideally, 60-100 acres, or to at least avoid mowing just before and during breeding season. Creeping suburbanization is a more intractable problem, as these developments erase grassland habitats. Stopping development before it starts, or at least limiting its scope, is imperative if we are to preserve what’s left of this endangered ecosystem.